Today I stumbled on a fairly shocking video that was uploaded by news portal Malaysiakini, but it wasn’t shocking in the scandalous kind of way, which I guess could make it even more shocking. 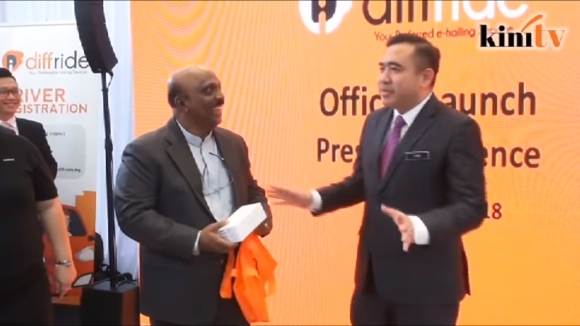 It was a video of Transport Minister Anthony Loke turning down a smartphone gift from an event organiser because he can’t accept gifts worth over RM500. Well, if RM500 is the ceiling, we’ve got a few ideas of smartphones that event organisers can use as gifts for future events with invited ministers. In the video, Anthony said that he could not accept the smartphones because he was sure that they were worth over RM500. According to a report by credible Malaysian daily The Star, Minister Loke was offered two smartphones, a Huawei P20 and a Nova 3i, which retail for RM2,299 and RM1,249 respectively. That’s a combined RRP value of RM3,548, which, according to The Star is “almost RM4,000”. Now, there must have been some kind of miscommunication here and the reason this happened was probably because the event organisers didn’t know Malaysian ministers couldn’t accept gifts over RM500. I personally blame a lack of information as the root cause of this problem because I’m sure the organisers only wanted to thank Anthony for attending their event with a good smartphone. And if you Google “best smartphones 2018” you get a list filled with expensive handsets like the Samsung Galaxy S9 and the Huawei P20 Pro. Granted, neither of the phones that were presented to Anthony were on those lists but I still believe that it was just an honest mistake. But that’s OK because I’m here to help. If you’re an event organiser that wants to present a simple token of appreciation to future ministers who attend your launch events, here’s a list of smartphones under RM500 that you can definitely consider instead.